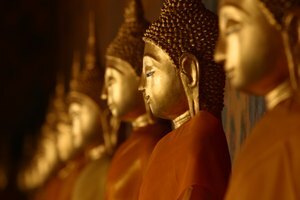 How Are Buddhist Statues Used in Worship? The Buddha is almost universally recognized as a sign of peace and mental clarity. Statues representing the likeness of the Buddha are ubiquitous in the West increasingly touting the traditions of Eastern philosophy. Buddha statues come in every size, from majestic stone sculptures gracing Buddhist temples and Zen gardens, to the palm-sized plastic figurines you find in Chinatown. Believers of the Abrahamic religions may mistakenly interpret images of the Buddha as proof of idol worship. Buddhists do not assign mystical or divine properties to statues or carvings of the Buddha. In fact, Buddhists do not worship the Buddha at all. Nor is the Buddha deified in the Buddhist tradition. Buddhists do not consider the Buddha to be a god, but rather a human being who sought and achieved enlightenment -- freedom from suffering -- and then bestowed his wisdom upon his followers in the form of teachings. While the Buddha is indeed the founding figurehead of the Buddhist tradition, he is never elevated to the status of a deity. 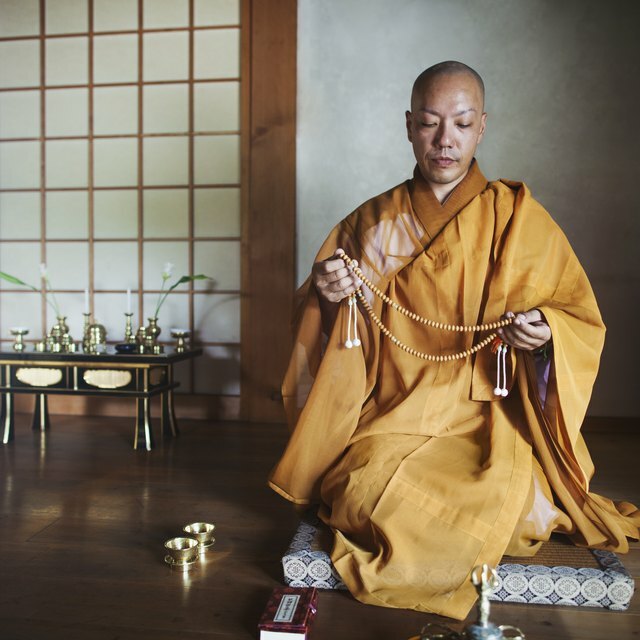 Because Buddhism does not hinge upon a belief in a supreme being or god, it is not considered a religion, but rather a way of life, compatible with other major faith traditions. Buddhists find that gazing upon the image of the Buddha gives them a clear role model in their own paths toward enlightenment. 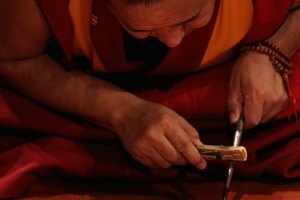 Aspirants gain inspiration as they contemplate the qualities embodied by the Buddha during his lifetime. In societies with no written language, specific teachings and wisdom were conveyed in the rich symbolism present in different statues. Buddha statues can be seen sitting or standing, smiling or laughing, and with his hands in a number of different gestures -- called mudras. These postures and gestures all carry different symbolism and relate to different qualities embodied by the Buddha, including grace, balance, compassion, wisdom, determination and courage. Each of these Buddhas also has a unique name. The length of the Buddha's hair, the modesty of his vestments, his size, and the accessories and props with which he is presented are all testaments to the Buddha at different phases in his life. You need not consider yourself a Buddhist to procure a likeness of the Buddha for your home or place of business. 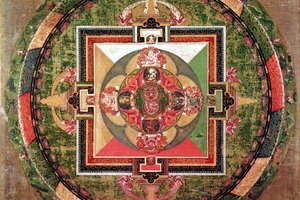 The Buddha is recognized as a symbol of peace of mind. 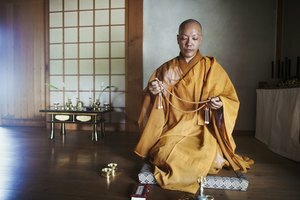 Some psychotherapists and alternative healers place statues of the Buddha in their lobbies and waiting rooms to encourage an atmosphere of well-being and calm. A glimpse of the sublime Buddha, with his eyes gently closed and his lips curved into a subtle smile, may provide inspiration to deepen your own practice of inner peace. What Does the Lotus Flower Represent in the Buddhist Religion? Janney, Parker. "What Does a Buddha Statue Represent?" 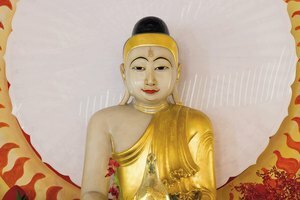 Synonym, https://classroom.synonym.com/what-does-a-buddha-statue-represent-12085274.html. 29 September 2017.